Welcome to the Raising Amazing Children Friendship Library Project! On July 2, 2017, I decided to create the Frienship Library Project (“RACFLP”) in hopes of sharing books that I and our family has loved so well over the years. Today, November 8, 2018, I shared our first books! I share a book with a sticker inside that explains the project. 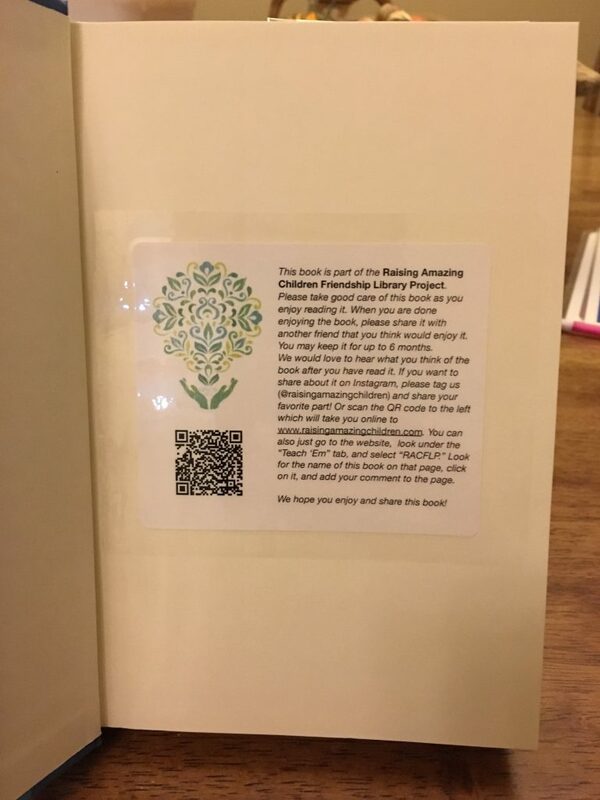 This sticker invites the reader to read the book, find the coinciding page on my blog, and share a comment about it on that page. Then they need to pass the book along within 6 months to someone who would like to read that book! To see lists of books we recommend, go here.